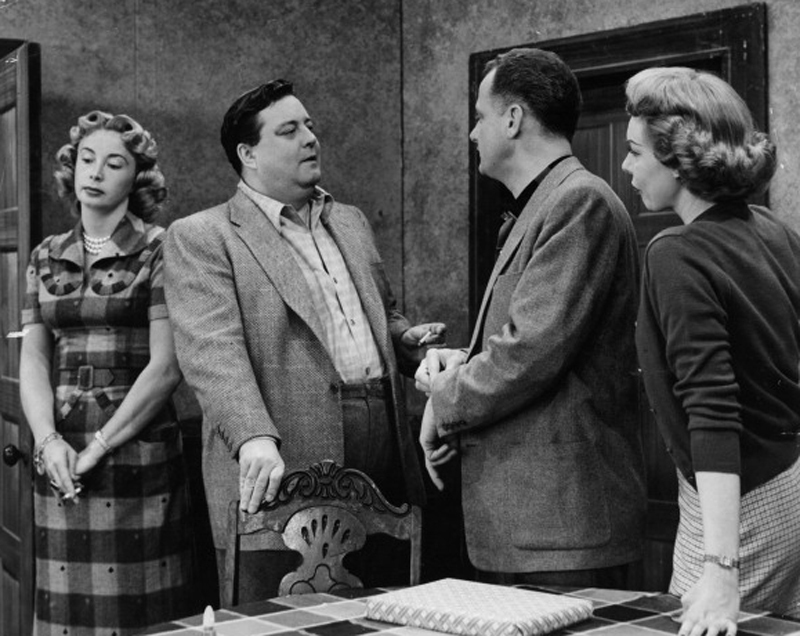 Audrey Meadows, Jackie Gleason, Art Carney, and Joyce Randolph. When Joyce Randolph marked her 90th birthday recently, I took a glance at the Wikipedia article about her to see how recently it had been updated. Among the things I read there was that she was recruited to play Trixie Norton in Jackie Gleason’s series The Honeymooners after Gleason saw her doing a commercial for Clorets, which was a chlorophyl gum on the order of Chicklets. That isn’t what she told me when I visited her at her Central Park West apartment in 1976. On that occasion, she said that she had first been hired by Gleason to appear in a serious sketch he insisted on performing on his comedy-variety show, The Cavalcade of Stars, which was then being broadcast on the Dumont Network, originating at WABD, Channel 5, in New York. 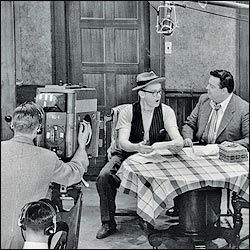 Art Carney and Jackie Gleason during one of the filming sessions Joyce Randolph described. “Gleason liked to write for the show or suggest things to the writers,” Joyce told me. “This time he wanted to do a serious sketch about a down-in-the-heels vaudevillian who meets a woman he loved many years before. We did very little rehearsing, and when we went on with it people were a little flabbergasted. They didn’t know whether to laugh or cry or what. A couple of weeks later, the part of Trixie came up, and Gleason said, ‘Get me that serious actress.’ ” Perhaps the Clorets commercial got her cast in the dramatic turn, but however Joyce got cast as Trixie Norton, she became an immortal among television actors. The Honeymooners first appeared in October 1951 as a six-minute sketch on The Cavalcade of Stars. 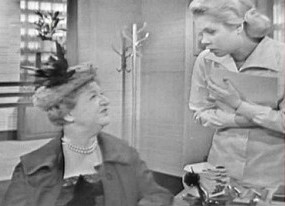 The sketch became one of the regular features on the show; Trixie Norton was introduced as a former burlesque dancer and was played, in only one episode, by Elaine Stritch before Joyce Randolph got the part. In later and less successful iterations of The Honeymooners Trixie was played by Jane Kean, but the part is universally associated with Joyce Randolph. 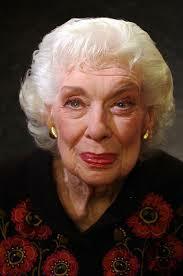 Joyce Randolph was kind of the Zeppo Marx in the Honeymooners act, because her own personality was not that distinctive (perhaps making her a perfect choice to play the wife of a New York City sewer worker) and she was playing fourth fiddle to three strong character actors — Gleason, Art Carney, and Audrey Meadows. Still, her own genuine earnest and wholesome quality came through in Trixie’s persona, which is why no one really could replace her in that part. Somewhere, within the past few days, I saw the name “Ken Lynch.” It almost has to have been in the credits of a movie or TV show I was watching, but I can’t remember. Maybe I was dozing off at the time. It would not be unusual for me to have seen his name, because he appeared in about 175 television shows and movies — mostly TV. He frequently played a tough cop. His name is not a household word, but I have been aware of him at least since I was 12 years old. 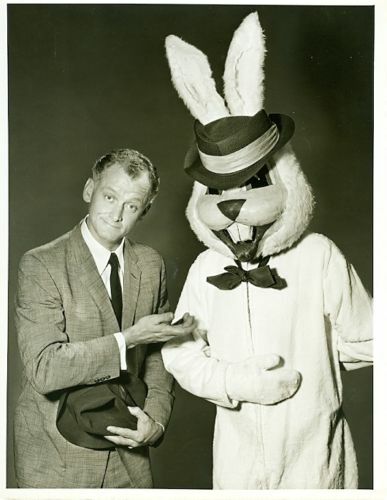 I can recall that, because from 1949 to 1954 he had the title role in a detective series called “The Plainclothesman,” which was broadcast on the old Dumont network. I don’t remember when I started watching that show, but it could have been at the beginning, when I was 7, because Dad bought our first TV at Izzy Kaufman’s appliance store in ’49. 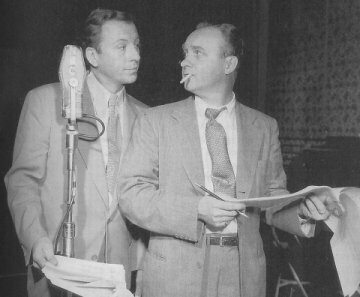 Ken Lynch, left, working in radio. 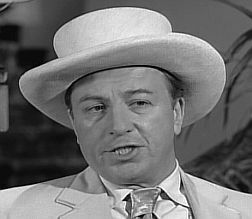 Possibly because the only impression I had of Ken Lynch was his distinctive raspy voice, I recognized it when I was watching an episode of “The Honeymooners,” a show that was very stingy about giving credit to actors other than the four stars. This occurred only a year or two after “The Plainclothesman” went off the air, but as sure as I was that we had finally seen “the lieutenant,” I couldn’t confirm it until much more recently. In that episode, Ralph Kramden (Jackie Gleason) witnesses an armed robbery while playing pool with his sidekick, Ed Norton, and is afraid to tell police what he saw, because the robbers might retaliate. 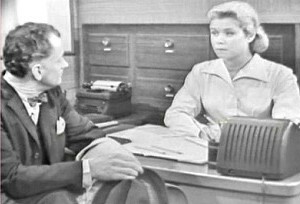 A detective comes to the Kramden apartment to question Ralph, and that detective is played by Ken Lynch. His voice, when he tells Ralph, “If you’re not a witness, you’re not entitled to police protection. And thanks — for nothin’!” is Lynch’s unmistakable file-on-metal sound. 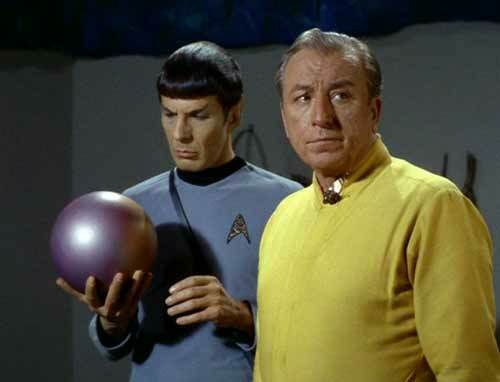 KEN LYNCH with LEONARD NIMOY on "Star Trek"
Having no better way to exercise my brain cells, I wondered about that for decades. It was only the advent of the Internet and its seemingly inexhaustible resources that I was able to confirm that the invisible “lieutenant” was the visible cop in Bensonhurst. 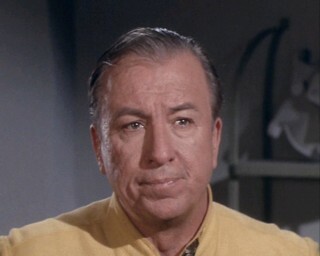 Ken Lynch was born in Cleveland in 1910, and he died in Burbank in 1990. Oddly, despite his prolific career, Wikipedia doesn’t have an English language article on him, although there is one in French, but with no real biographical information. There is a short and descriptive profile of him on the International Movie Database web site, at THIS LINK.